Zuri Group | Courage Classic 2018? There's an app for that. Are you riding in the Children’s Hospital Colorado #CourageClassicCO Bicycle Tour? Don’t forget to download the app! 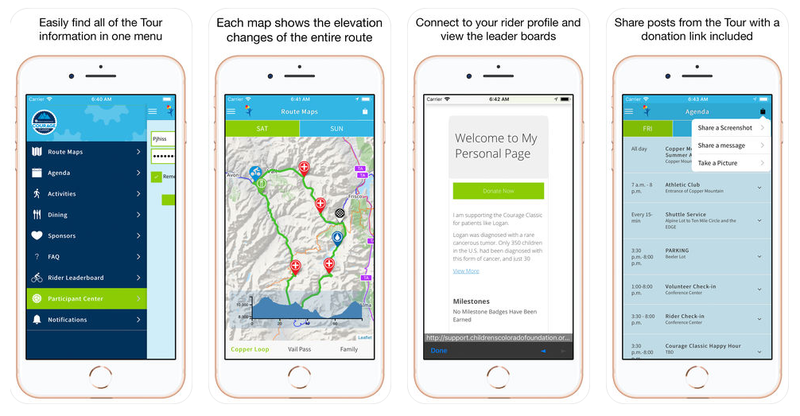 Available for Android and Apple devices, the Courage Classic mobile app uses AngularJS and Ionic HTML5 Mobile Framework to put Courage Classic route maps, local restaurants, and event activities and alerts at rider’s fingertips. It also provides riders with quick access to their participant center, and gives everyone an easy way to share their event experiences through their social networks. 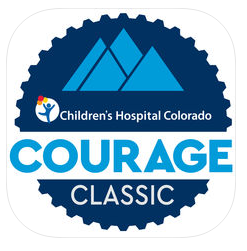 Zuri Group is so proud to have worked on this mobile app for Children’s Hospital Colorado and Children’s Hospital Colorado Foundation, and we look forward to watching the #CourageClassicCO tag to see all your event experiences! Looking to provide your fundraisers with a unique experience and an easy way for them to spread the word about your event?